How can I prevent roots from entering my drains? Root invasion is a serious problem for your drains and can cause a great deal of damage if left untreated. Any issue with your drainage systems can be inconvenient and stressful, but there are things you can do to stop it from happening. 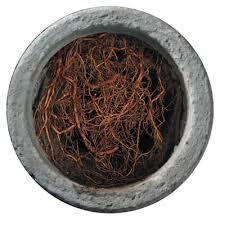 Tree roots find the perfect home in a drain – it provides them with all the water and nutrients they need to survive. You will often find that drains that are very old and have cracks in them are more susceptible to tree root invasion. The further away from the tree you get, the smaller the root is, meaning they can make their way into even the tiniest of cracks in your drains. As they absorb all the nutrients and water from the drains, they will continue to grow and now that they have lodged themselves into the crack this means the crack will expand alongside the root. This creates more and more pressure on the drain and can eventually lead to a burst pipe, or even a collapsed drain which results in flooding. Flooding is a huge problem for your property as it causes a great deal of damage and the bacteria from the wastewater can easily contaminate your property, posing a serious health hazard. The number one way to prevent roots from entering your drains is to make sure that your drainage systems are in perfect condition, with no signs of decay or wear-and-tear. You may need to consider getting your drains relined, whether that’s just a small section of the drains or the entire system. 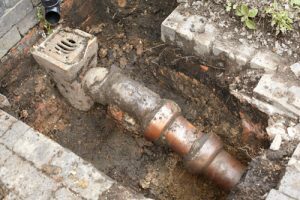 If you know that your property’s drainage system is particularly old then it may be worth getting a new system laid out, as this will be far more cost-effective than to simply replace multiple sections. The thought of having your drains completely relined may seem daunting but it is much more cost-effective and efficient than regularly calling out a drain engineer every time a new part of your drain system collapses or breaks. One way to find out if you have any tree roots making their way into your drains is to call out a professional drain engineer to complete a CCTV drain survey on your property. CCTV drain surveys are a very useful way to locate anything that may be causing damage to your drains, such as tree roots. A professional drain engineer will use the latest technology and software to thoroughly inspect your drains for any sign of entry made by tree roots, and if anything is identified during the survey it will be dealt with then and there. They will also be happy to provide you with a fully comprehensible and useful report of the findings as well as some friendly advice on how best to proceed. If you are unsure of whether there are roots in your drains, but would like to take preventative measures to ensure they do not find their way in, there are a few steps you can take. Chemicals that will kill tree roots are available to find at garden centres or some supermarkets, but you must be careful as some chemicals will also kill the plant. The best way to prevent this is to use the chemical inside the drain rather than on the ground, as this will kill any root that has found its way inside without getting to the tree itself. It is best to stay ahead of the game and keep tree roots under control before they can start causing any chaos in your drainage systems. It may be a good idea to find out how old your drainage systems are, and this can be done in many ways including finding the original plans for the drains from your local council, but the best way to give you guaranteed results is a CCTV survey as this will provide you with accurate details of the current condition of your drains and whether there are any problems that you need to address. Why should I get a CCTV drain survey? With so many modern day conveniences, we tend to forget that they required regular maintenance and care in order to continue providing us with the basic necessities, like clean water. It is far too easy to forget about our drains and ignore them until they become damaged, at which point you will end up spending a great deal of money to resolve the issue. 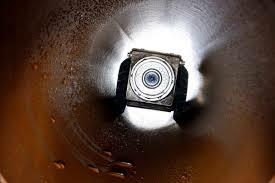 However, CCTV drain surveys are a great way to regularly maintain your drains and thoroughly investigate them, should there be any issues that you haven’t yet noticed. Using the latest technology and software, a professionally trained drain engineer can identify and locate defects in your drains that, if left ignored, could lead on to far bigger problems. These faults can include big or small blockages, cracks in the pipes that may have led to tree root invasion, leaks that may have come from a worn down drain, and even areas of your drainage systems that have begun to collapse. Find more how to prevent roots from entering your drain here. CCTV drain surveys are a great way to ensure regular maintenance of your drains, as you can catch even the smallest of problems before they grow into something bigger and more damaging. It is important to know that a problem with your drains won’t go away on its own, and if it is left ignored then it will grow in size and in strength, which ultimately ends up costing you more to resolve and wastes more of your time than necessary. A professionally trained drain engineer can use the latest state of the art software to thoroughly investigate your drainage systems in search of anything that is a potential risk for problems that are often found in drains. CCTV drain surveys are particularly useful if your drainage system is old, or if you want to find out exactly how old your drains are. They can assess the quality of the pipes and how likely they are to cause problems for you. Should they find anything that needs to be dealt with, they will deal with it on the spot so you can rest assured knowing that it has been taken care of quickly and efficiently, and to the highest of standards. Older drainage systems are more likely to be worn out and have more frequently occurring issues like breakages, cracks, and general wear and tear. This makes them more vulnerable to decay, and in some cases complete collapse which is a huge problem and can lead to flooding. Flooding can contaminate your property with harmful bacteria from the wastewater, and poses a very serious health risk, so it is best to get a CCTV survey before this can happen. If you have just moved into your new property, or are selling your old one, it is a good idea to get a CCTV drain survey conducted to find out about anything you may need to be aware of. Moving into a property with dodgy drains is the last thing you want, and it can be harder to sell a property if the drains do not work properly, so CCTV surveys are a guaranteed way to investigate the systems and identify anything that you need sorted out. Do roots grow in drains? The likelihood of root invasion as the cause makes greater the intensity and frequency of the blockages increases. Again, while it is not a definite sign of root invasion, it is important to keep an eye out for recurring problems that worsen over time. Another sign of root invasion problems is a localised issue with the drains. If other appliances and fixtures within the house are not experiencing the same problem, then it is likely that there are roots making their way into a pipe somewhere along the line that is causing that one fixture to experience issues and blockages. If you are suspicious of a problem with root invasion, it is important to call a drain technician as soon as possible before it can get any worse. Root invasion, when left over time, can cause a great deal of damage to a drainage system, with the chance of leaks and eventually flooding. As time goes by, roots will grow in size which can cause a large amount of pressure on the crack through which they’ve entered. If left untreated, this crack can break the pipe and lead to complete collapse, which requires a great deal of repair, and in some cases even needs replacing altogether. If you are concerned that you have roots growing in your drains, the most effective way of establishing what course of action to take is to use a CCTV drain survey to determine the strength of the roots, and how they should be dealt with. If the roots are still small and fine, they can be washed away using high pressure water jetting, but for bigger roots that have expanded over time a more intensive method of solution may be required. It is best to nip it in the bud and call a Blocked Drain Swindon engineer as soon as you suspect you have a problem. Sometimes, the cause of a blockage can come from seemingly nowhere. It is common for us to forget about what causes a blocked drain, and so often the problem is ignored until it develops into something that can cause a large amount of damage and is more expensive to rectify. Roots require water and oxygen to grow, and because drainage systems are such a prolific source of everything that roots need they are a number one target for root invasion. If there is already signs of decay and areas of leaking within the system, the roots will find their way to this point of entry and continue to grow within the system. This eventually prevents water and waste from flowing smoothly, and can lead to some severe blockages, and even worse leaks. This can pose a serious health risk to you and all who live at the property, so it is important to maintain your drains regularly to ensure that you are not faced with a much bigger problem later on. One of the most common causes of outdoor drainage systems becoming damaged is root invasion. 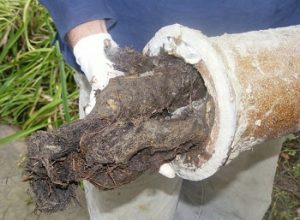 The idea of roots growing within your drain pipes can sound strange, but it is more common than you would think. Roots don’t just grow downwards either, they can grow up from underneath your house’s foundations, particularly in houses with slab foundations. But don’t worry – with a CCTV survey, we’ll be able to tell wherever the problem is. With a slab foundation, it is possible for roots to grow upwards and then along the underside of a slab, through where the toilet drain penetrates this slab. From there, they can make their way down the toilet pipe. One of the main indicators of this sort of problem is a toilet that blocks often. The blockage may seem small and can usually be eliminated by using a plunger but it doesn’t take long for the issue to return. Of course, this symptom is not a definite sign, and there could be many reasons behind the blockage, but it is definitely an indication that there is a problem you need to look at and it is easy to forget that root invasion could be the reason behind it. If you suspect root invasion is causing your drains some problems, call Blocked Drains Swindon.